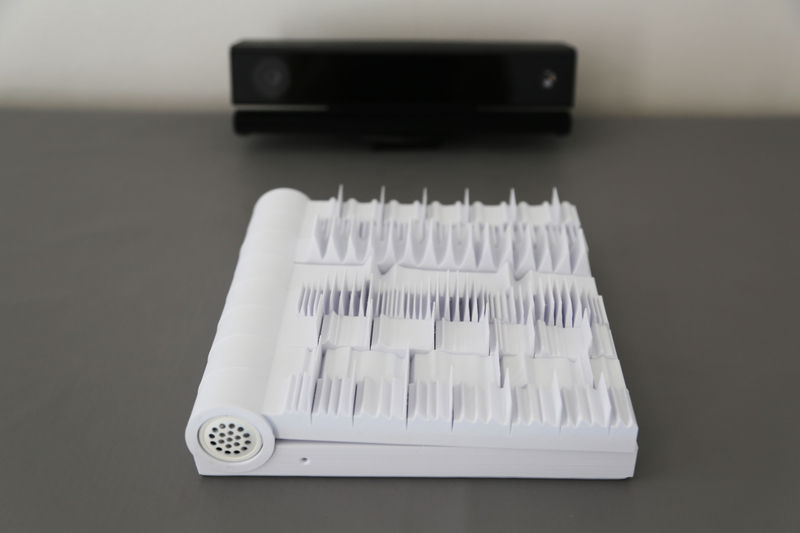 Asystole is a 3D printed interactive book capable of determining your heartrate from the blood flow in your face. 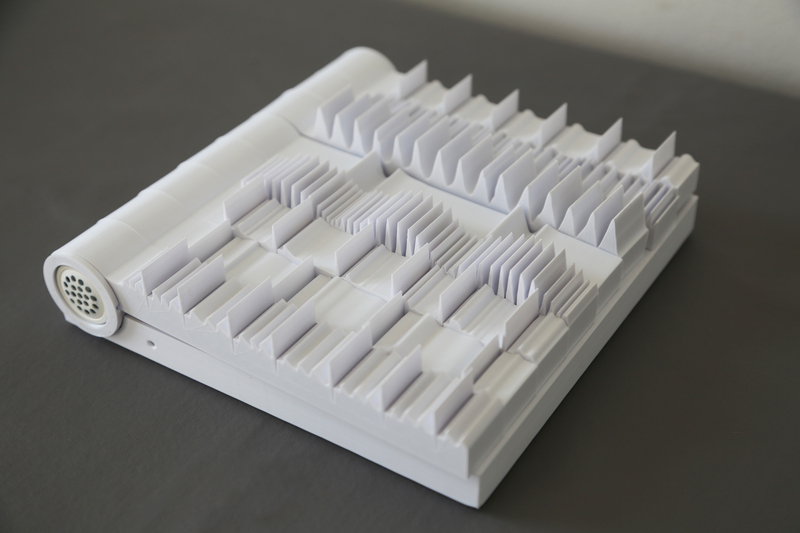 By reading Asystole, your heartbeat will be turned into music played against the waveform of its pages to form a duet between your heartbeat and the book. 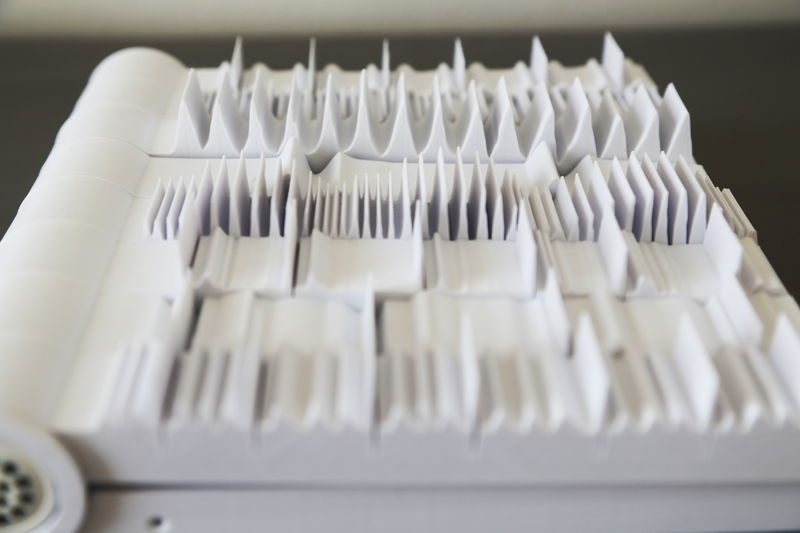 Each page of Asystole is a 3D printed waveform visualizing different EKG patterns (mostly arrhythmias and heart attacks) including a sinus rhythm (or regular heart rhythm). 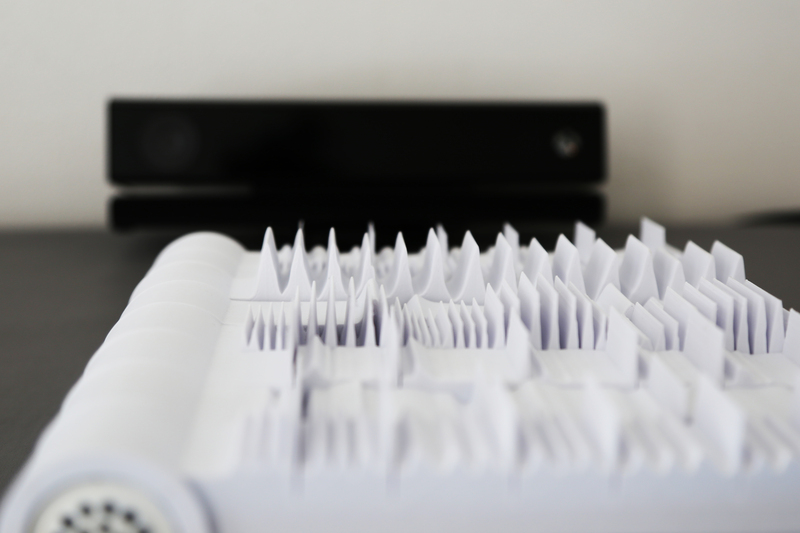 Each page rotates around a cylindrical spine with an embedded speaker. Underneath each page is a photo cell. 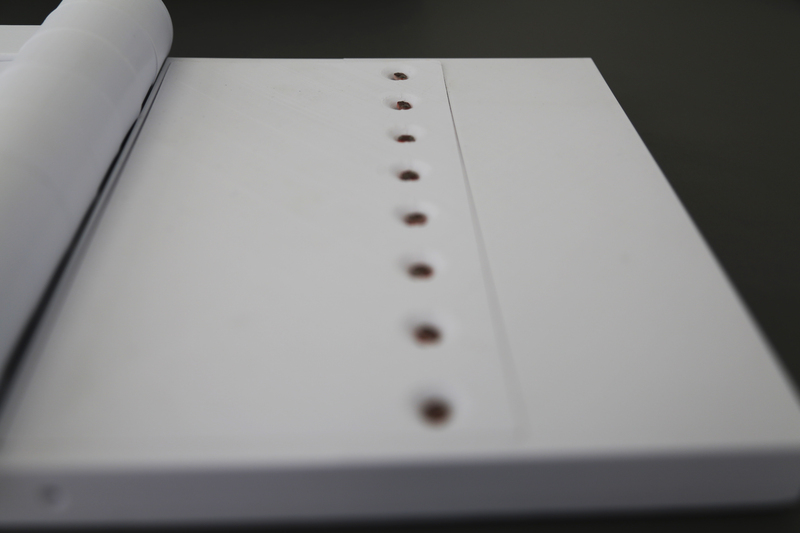 This photo cell, or light sensor, enables the book to determine when a page has been turned, triggering a sound sample of that waveform to play. 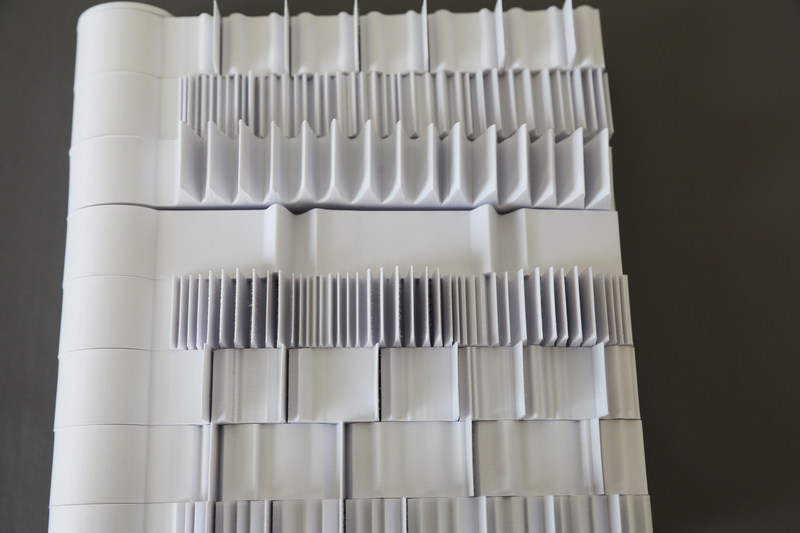 When all the pages have been turned, an asystole (or flat-line) can be heard. While the reader is reading the book, their face remains mostly still. This allows a program written in C and R which uses a process known as Eularian Video Magnification elaborating on research by MIT and Dwight Goins of Microsoft, to determine the reader’s heart rate based on subtle changes in the RGB values, IR values, and amplified motion of their face using the Kinect’s sensor array. Once determined, the heartbeat is played as a sound alongside the current EKG pattern of the book creating a duet between book and reader. This project is dedicated to my cousin Kim who died prematurely of a heart attack. In the months of research that followed, I would learn that heart disease is the number one cause of death in America. It is my hope that Asystole will encourage us to think about our biological health at a time when we are often disassociated from our corporeality through our immersion in digital technology.